Transekur Global is the leading provider of premium transportation Dominican Republic. The company operates since 2012 and has a company-owned fleet including Minivans, SUVs, Luxury Sedans, Sedans as well as vans and buses. This is essential because we are one of the few companies that don’t resell services from third parties, hence we are able to control and are accountable for all aspects of our operation: from the vehicles, to the drivers, to the amenities we offer. From its inception, Transekur was thought out to be different from other providers. Our uniqueness came by offering a unique set of features including trained bilingual drivers, premium vehicles, Wi-Fi on board as well as cold drinks as part of the standard service description. As an industry leader, most of these benefits are now standard for other transportation companies in the country; and we are proud to be the model after which other companies design their products and services. The name Transekur is pronounced, “trans secure”, and it stands for “Secure Transportation”. Security, safety and reliability are our cornerstones since we started moving people to and from every place imaginable around the island; whether there are roads or not. We take safety very seriously. Our vehicles are all company-owned and are kept to the manufacturer’s maintenance standard. None of our units are older than seven years, as company policy. We were the first company in the country to have a comprehensive training program for its drivers, including defensive driving, risk assessment as well as VIP customer service. Dan is Transekur’s founder and CEO. 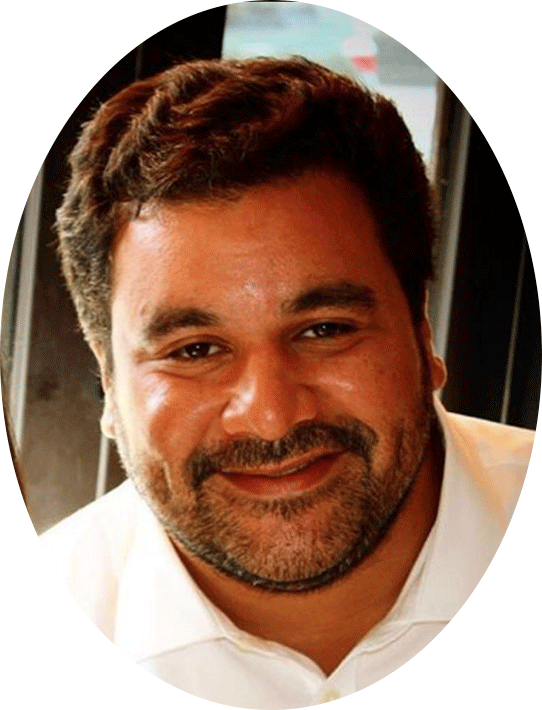 Its current General Manager, Mr. Dan Guzman, founded Transekur in 2012. He started the company with one Chevy Suburban SUV that he had purchased for his personal use. He saw a niche in Santo Domingo for a higher level of service in transportation in the country, as there were no options available as they are available in most large cities around the world. A couple of months later, he purchased a second Chevy Suburban and incorporated the company in Santo Domingo and in the United States. The name of the company was Transekur Global as is the legal name still today. A couple of years later and after the fleet had grown to 8 units, other investors became interested in the idea, and Mr. Guzman started creating the company’s sales, operations and administrative departments. In 2014 Transekur opened its branch in Punta Cana, which is the single most important destination in all of Central America and the Caribbean. From that new location and the third branch opened in 2015 in the city of Santiago, Transekur was able to service all of the eight international airports in the Dominican Republic within less than 60 minutes. That same year, 2014, was a great year for Transekur. We started operating in a new business branch, production equipment rentals. The expansion came after a request from the largest motion picture studios of Latin America, Pinewood Dominican Republic, who had been users of our transportation services for actors, directors, producers and other VIPs that frequently fly to the Caribbean destination looking to shoot movies and series in the country. 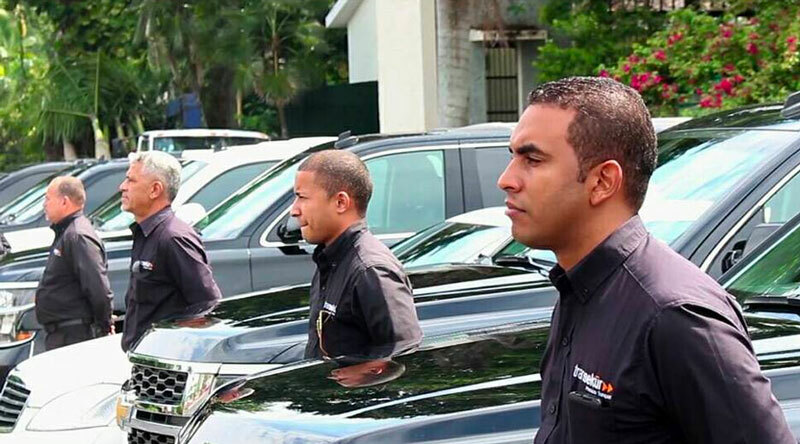 The new sister company, Transekur Transpo, is the first company in the Dominican Republic with a fleet of vehicles and equipment for the film and event production industries. The company is focused on becoming an integral solution to producers, a ‘one stop shop’ for equipment and transportation rentals. The Transekur difference is in its people. We staff bilingual drivers, operators and coordinators with vast experience in logistics, equipment and high profile passenger management. Ricardo Perez and Dan Guzman from Transekur, as shown in Forbes Magazine. equipment provider in the region. If you attend any kind of event in the Dominican Republic, chances are that the artists, singers, VIPs or executives are riding in one of our vehicles. as completing our ISO 9001 certification process that is due in the first half of 2017.
the ISO label, which is recognized worldwide as the golden standard in quality assurance systems. We invite you to live the Transekur experience, and hope to see you soon in the Dominican Republic.